Gotta admire the FF's commitment to fashion co-ordination, if nothing else. I REALLY wish we could have seen the scene in which Spider-Man convinces some of the greatest evil geniuses of the Marvel Universe to color coordinate their uniforms. I mean that, right there? Is comedy gold. 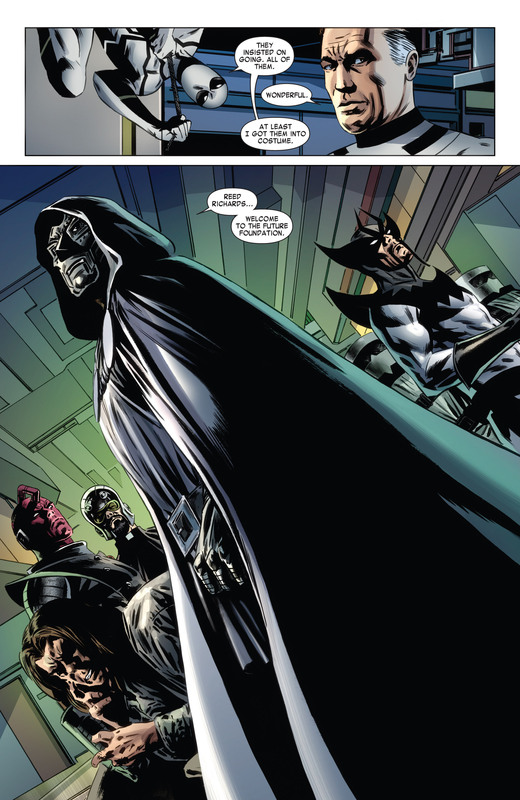 "C'mon, Doom... all the cool kids are doing it." "Do you think so little of Doom that such paltry attempts at manipulation could work?" "Nah. But I got a bet going with Reed that you won't." "WHAT?!! You dare reduce Doom's decision to mere monetary gain?" 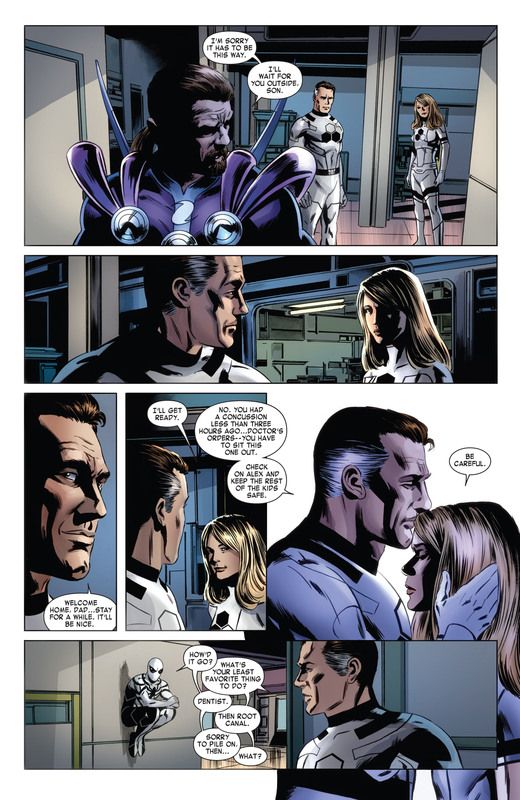 "Reed said you wouldn't, by the way." "Cursed fool! Doom will show him! Doom will make this outfit work!" "(Easiest ten bucks I ever made...)"
This is my official headcanon for how that happened. Congrats to the Evolutionary for standing his ground on the matter of color schemes.
" I'll wear the suit, but I won't repaint my helmet. I don't even think I can get this shade of purple anymore. " I don't think the armour comes off. There was a story where he managed to get it off, but it involved getting the Hulk unbelievably angry, and letting him go to town on the armour while the HE was working to disable it from the inside. In my headcanon, he is sort of a baby celestial. I thought the High Evolutionary had a head fin. Not a... handle? He looks like a tea kettle. Believe it or not, it's technically supposed to be the handle. It gets drawn differently over the years so sometimes it turns into to a solid head fin. ....Why does the High Evolutionary have a handle on his head? Do I want to know? 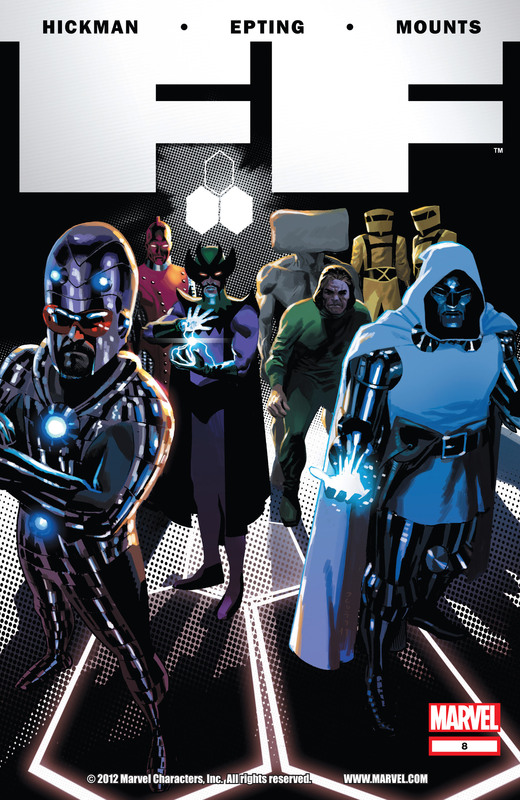 That cover, though..."Straight Outta Latveria"? Not much of a request, then. 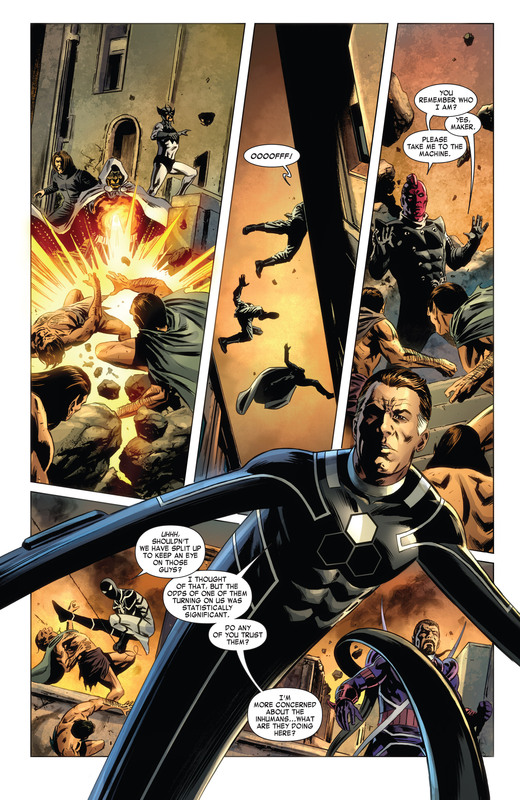 Inhumans don't seem to "get" basic courtesy. Like, say, how people might not necessarily want to deal with a giant roving death cloud. 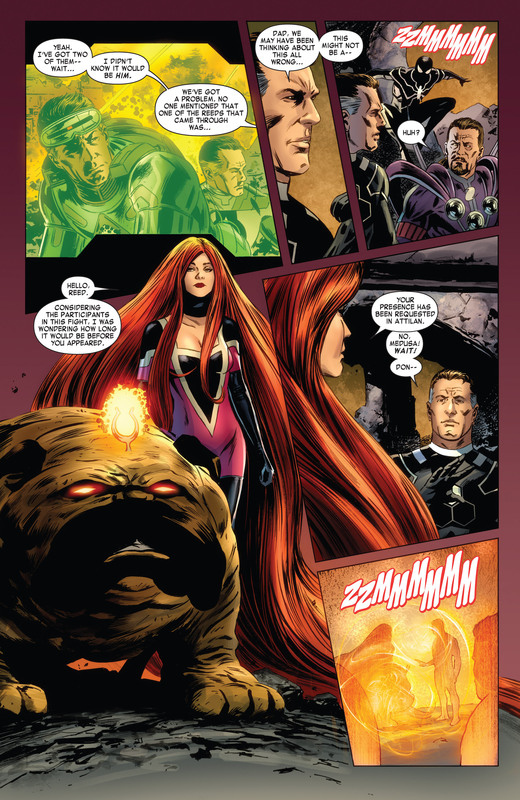 Yeah, most Inhumans are basically jerks all the time. Lockjaw is the only cool one.